Home / We're going on our own roadshow! We're going on our own roadshow! We have some exciting news! 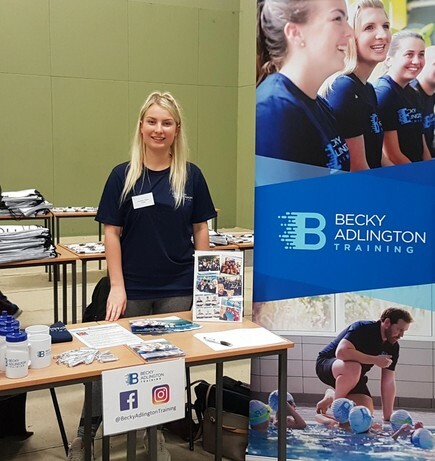 Becky Adlington Training are going on their very own roadshow, visiting student and recruitment fairs across the North West to spread the word about our training courses! The team (including Mya on the left), will be offering more details about all our courses including the Level 1, Level 2 and Combined Swimming Teacher Qualifications, as well as opportunities to work with our sister companies Becky Adlington’s SwimStars and Total Swimming Academies. If you’re interested in any of the courses, learn more or find the next courses available here.